When you’re madly in love , here’s a beautiful way to let her know. 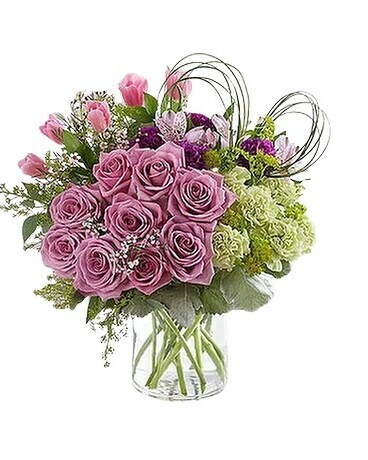 Our luxurious new arrangement is artistically designed in a modern clustered shape with a lush mix of lavender, pink and green blooms. To really set this stunning creation apart, we’ve crafted long blades of bear grass into the shape of a heart, a timeless symbol of your love, now and forever.